We are now 31 days away from World of Watson! So what's going to happen at World of Watson? First, let's start with Imagine Dragons! 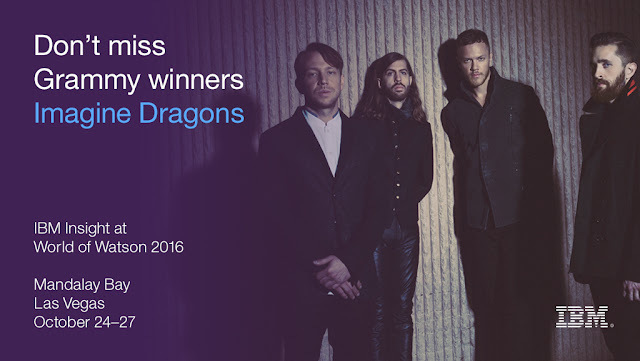 Grammy award-winning rockers and Las Vegas hometown heroes Imagine Dragons will perform exclusively for World of Watson attendees. Following their multi-platinum debut album ‘Night Visions,’ the alt-rock group has been playing sold out arenas all over the world. Their sophomore album ‘Smoke + Mirrors’ debuted at #1 on the Billboard 200, and their music videos have amassed over 1 billion views on YouTube. Next, of course, there's the sessions. 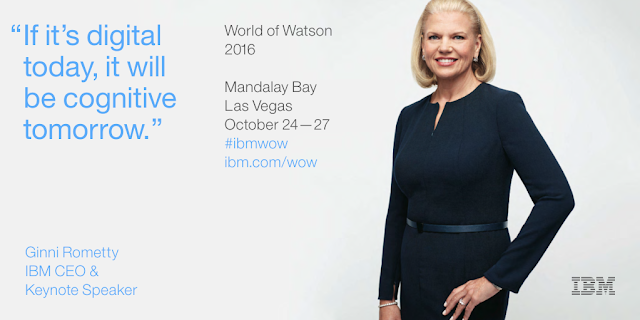 A can't miss session will be on Wednesday with IBM CEO, Ginni Rometty. I've put together a list so you can see what's being covered by the IBM Collaboration Solutions team. One that stands out to me is the title for Inhi's keynote on Tuesday at 1p. She's promising magic and I'm not going to miss it! We will also be sharing an update on Project Toscana. The teams are all heads down and hard at work on Project Toscana. As you can see below, I'll be leading a session on the Platform and APIs and will be sharing how you can start using them right at the conference. Rishi Vaish and Rob Ingram will also be sharing the latest with Project Toscana. Haven't registered yet? You still have time. Go register here. See you there!